The HTC One M9 is definitely coming to the MWC 2015 show in March, but rumors say it won’t be the only Hima on the show grounds this year. According to our sources, as well as various rumors found online and leaked, the HTC One M9 Plus is also going to show up at the event the Taiwanese company is hosting on March 1st, just ahead of the kick-off. The HTC One M9 Plus will be found in fewer rumors than the flagship, and you might have already encountered mentions of it under the HTC One M9 Ultra name, so we’re not entirely sure what this device will be called upon launch. Regardless, HTC teased the arrival of this device, which is supposed to end up being the phablet-version of the One M9 on their Twitter account with an enigmatic play on words. As you can see in the tweet above, we’re not entirely sure what the company is talking about, but most people on the web and in the responses say that most likely, they’re talking about the HTC One M9 Plus. We’ve little to no information about this device, compared to the number of leaks we’ve already talked about regarding the One M9. All we know is that it’s going to be the larger version of the One M9, sporting a 5.5 inch display instead of the 5 inch display the flagship is said to tout. As far as we know, the One M9 will end up sporting an HD display, not a QHD one as many had hoped and this is another area where the HTC One M9 Plus might intervene. Rumors say that HTC is going to please fans by offering them everything they want, including a behemoth with a QHD resolution panel. 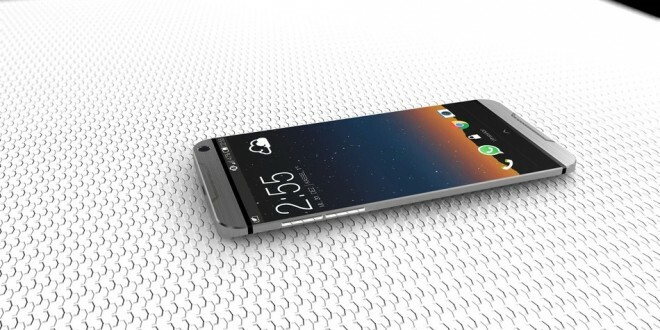 Those rumors point out that the HTC One M9 display will measure 5.5 inches and have a QHD resolution of 2560*1440, which would make it a great competitor against the iPhone 6 and even the Galaxy Note 4. Spec-wise, most say it will have the same hardware and features as the One M9, which seems plausible. There are only a few days left until the Mobile World Congress in Barcelona, so we’re anxious to see what HTC means by this “HUGE” thing that is coming to the show. They might just be referring to the One M9, for all we know.